Ugh, I can't believe I lost that rock-paper-scissors match with Tsuba. They've been winning a whole lot lately~. I bet they're cheating again somehow. Or are you just talking to yourself? Oh, sorry for startling you. M'name's Jun Amanomiya. I sell umbrellas and rain gear. Anything y'need? Well, aren't you an impudent one. I told you, m'name's Jun! I'd rather you not deny my individuality? You're definitely the culprit. And a real wily one, too. I did it, I did it~! Whew, that was tough. Huh? I thought you'd finally rest in peace after that. Why am I being confused for a ghost now...? Which way was the village...? You've finally come... flying human. I heard you were headed for the village, so I set up an ambush. But do you have any idea what time it is?! Oh, did I keep you waiting? It's not like I was waiting or anything! Phew~! And here I thought I was late. Don't go around being late to your own ambush! Augh, whatever! I'm gonna bury you in salt, you punk! And I'm gonna lick it all up, you punk! That's enough out of you! I'm coming for you, enemy of Jun! If I've got all this salt, I may as well sprinkle it around. Eeeeek! I'm gonna swell up~! No, I'm really gonna die! Hm! The clouds seem to be moving strangely. Ah, I spy an idiot. People who call others idiots are guaranteed to like roasted eel! Like lamprey~? Or maybe mudskipper~? A suspicious human, making such bizarre sounds... Eureka! I think you probably definitely ought to be the culprit for sure! which of us is the true culprit! I've lived a long time, but I certainly haven't seen that before. Mm, wasn't tasty at all. Thanks for the meal! ...Well then, here we go! I'm definitely sated, so I can shoot way more than usual! Oof. Well, I've lost, so there's no denying it. I hereby admit that you are the true culprit! By the way, whose work is this, anyway? With the cloudy weather and all. I guess it wasn't that zashiki-warashi from before after all. 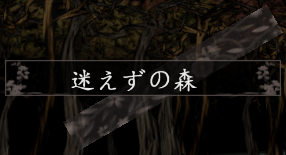 You mean the rain youkai? I'm gonna go look for a culprit that's even stronger than I am! but where could the culprit be? I bet Tsuba's gonna get mad at me~. If you're in need of money, just turn to our financing company! so I put on my business smile out of habit. Not all troubled people are looking for money, you know? That's not true at all! Money is a wonderful thing, isn't it? It puts smiles on everyone's faces! Mostly our company's. You sure are honest about being crooked~. Allow me to introduce myself; my name is Hibaru Kokutenshi. If you're ever in a pinch, by all means feel free to stop by. We'll even provide a discount~! No way! My wallet's not in such bad shape right now! be one of the people who moved into that shrine?! Oh, you've heard about us! That shrine, huh? Sounds like it's pretty famous~. may I give you a bit of trouble myself? ...Do you have some sort of grudge against our shrine? We cross paths quite often. What with medical bills, and so on. Eheh, you really are corrupt~. Things have been getting kind of dangerous lately. Wow, what a huge building~. being smack-dab in the middle of these clouds and all. Oho? Is that a human, nyah? Welcome! It'sh pretty rare for a human to come 'round here. Oh, hello there! You smell kind of tasty~. I jusht made dinner! Would ya like some too? Ya shouldn't get too close to this ritual chamber, yanno. Yay! Time to dig in~. M'name's Sukune Katano! I'm an earth'nware craftsman~. Like from the Joumon and Yayoi periods? For an idiot y'sure know a lot, nyah! Eheheh~. You don't have to flatter me like that. ...By the way, did you make that hat yourself? makes for the ultimate defense, chuu! We're real busy in this here ritual chamber, y'know. how's about I show you some of my creations? the power hidden within." D'you understand that, nya? Heheh, I'm not too shabby at this whole art business myself. I've always gotten first! All #1! But it's pitiful fer sure! So you'll let me in now, right~? Weapon? Oh, nah, this ain't a weapon. It'sh a bottle opener, see? I won't letcha git any further! My, my, you're really overdoing it~. I'm gonna stop y'by force, yanno! Hmph! Normal humans can't go around flying, y'know! Yes, quite true. So, young whelp, who are you? I am Adagumo no Yaorochi, a holy servant. ...So you're like a priest or something? It seems you're just as much of a simpleton as Sukune. H-how mean... and here, Yabusame believed you! 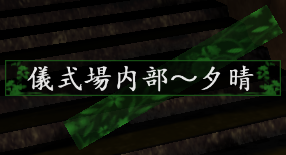 "Yabusame"...? 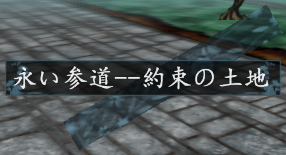 Well, forgive me, Yabusame. I'm in an extraordinarily good mood right now, and thus went a little too far with my joke. Hmm? Why are you in such a good mood? Of course, it's because I was able to be reunited with this beloved sword of mine. ...That sure isn't any ordinary sword, huh? Oh, can you feel it? The spiritual energy emanating from it? Behold! 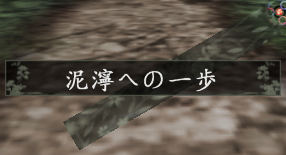 This sword's name is "Tasouken": the "Snake Thicket Sword"! 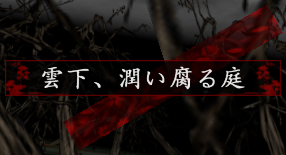 Also known as the "Ame no Murakumo no Tsurugi"!! Well, yes, that is yet another of its names. As long as I know its real name, you may call it whatever you like. Why is something so amazing here? I thought that sword belonged to a bunch of really important people~. Their sword is simply a replica. Besides, this was originally the sword of my clan. You evil people stole it from us... that's all. This is escalating pretty quickly. to test out this blade. Prepare yourself. Let us begin. ...I mean, you look really strong. Taste the power of Orochi, you ignorant human! I told you I don't wanna fight, you slithery snake! 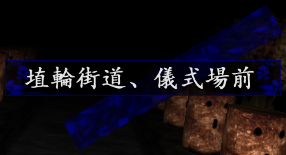 ↑ In the original dialogue, Yabusame says that they ought to use the first-person pronoun ora (己), stereotypically used by young boys (as opposed to Jun's elderly-sounding washi (儂). This is possibly in reference to Osamu Tezuka's anime Amefuri Kozō from the Lion Books series, where the titular Rain Boy youkai refers to himself with ora. ↑ Originally just "toushouguu! toushouguu! "; preceding line added for clarity. Reference to Toushouguu temple in Nikkō, Tochigi Prefecture. ↑ Pun on the words kanpuku (感服), ganpuku (眼福) and manpuku (満腹). ↑ Pun on doki (土器, "earthenware") and doki-doki (ドキドキ, a heart-pounding onomatopoeia). ↑ Yabuhebi (藪蛇): shorthand for the idiom yabu o tsutsuite hebi o dasu (藪をつついて蛇を出す, "scare out a snake by poking at the brush"). This page was last edited on 11 October 2018, at 07:35.